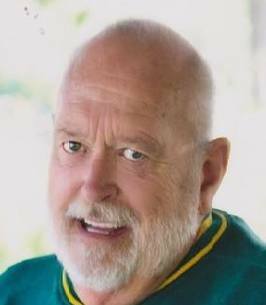 Wayne K. Sankey, age 77, of Janesville died on Wednesday, August 8, 2018 at his son’s home in Orfordville. He was born in Belle Fourche, SD on May 28, 1941, the son of the late Harry and Faye (Harvey) Sankey. Wayne graduated from Belle Fourche High School, attended Augustana College and Pepperdine University where he majored in Art and French. Wayne served in the US Army from 1964 until he was honorably discharged in 1966. Wayne later married Rachelle B. Thompson in Belle Fourche on August 21, 1966, and together they had three children. During college Wayne worked at Utter-McKinley Mortuary. Wayne’s first job as an educator was teaching art in Wild Rose, WI and later at Milton High School, and Blackhawk Technical College sharing his artistic talents with many students he taught while teaching. After a few years of teaching, Wayne went to work at GMAD, retiring after 25 years of service. Over the years, Wayne has produced sketching’s and water colored paintings of most of the homes in the court house hill historic area in Janesville, something he was very proud of. Spending time in the outdoors, camping, and fishing was Wayne’s true passion. He would spend time in an area, envision what it would look like in a painting and reproduce it on canvas as a sketch or watercolor. Wayne was a very caring and compassionate gentleman, and always tried to look at something from the other person’s perspective. He knew there is always two sides to a story. 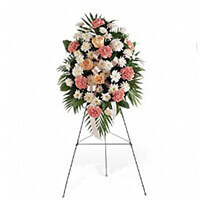 He was a very loving, husband, father and grandfather who will be missed dearly. He is survived by his wife: Rachelle; his children: Lisa (Greg) Earle, Erik (Michelle) Sankey, and Nicholas (Kara) Sankey; four grandchildren who he adored: Molly, Maggie, August, and Ruby; and his brother: Terry (Sandy) Sankey and their children Larry, Candice, and Jenny. In addition to his parents, he was predeceased by his sister-in-law: Sheri Thompson. A Celebration honoring Wayne’s life will be held on Saturday, August 18, 2018 from 10:00 AM until noon at the Whitcomb – Lynch Funeral Home. 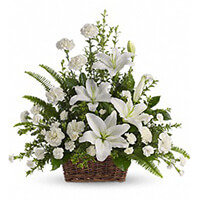 To send flowers to the family of Wayne Keith Sankey, please visit our Heartfelt Sympathies Store. Mr Sankey was my art teacher at Milton High School from 1973-1976. He was a great influence on me. I always remember his soft-spoken advice. He saw the talent in me and worked on my strengths and challenged my weaknesses. I will always hold fond memories of him. With our deepest sympathy, you and your family are in our thoughts and prayers. I am so sorry to read about the passing of Wayne. He was a kind and gentle soul. Wayne and I taught together at Milton high school. We always had a good time together. I’ll never forget when Wayne and Shelly gave Tasha to my parents. Tasha could run like the speed of light. Again, I am so sorry for you loss. Our deepest condolences for your loss. Our thoughts and prayers are with you at this time.